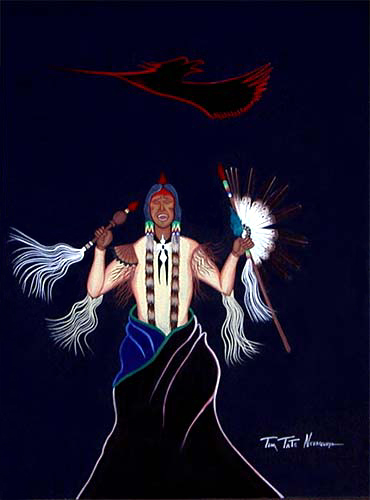 Joyce “Doc” Tate Nevaquaya (1932-1996, of the Comanche Tribe), my friend & fellow artist, was named “The Honored One“ at the 1993 Red Earth Festival in Oklahoma City. But during this festival, the passing of his close friend & Comanche brother, George “Woogie” Watchetaker was on his heart & mind. Woogie was on all the hearts & minds of all who knew & loved him. Doc Tate Nevaquaya, Ronnie Harris and I (Cheryl Davis) came together to submit a statement to Red Earth, “a tribute to Woogie,” which included a couple of recommendations. 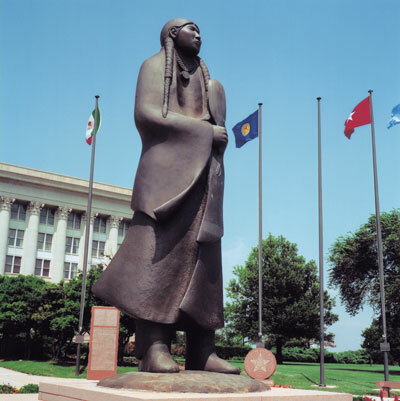 Woogee was known as a Native American Ambassador world wide. He was a friend, brother, father and grandfather who loved all people, no matter what their race or religion. Woogee gave us all a gift and because the Great Spirit has given us an even greater gift, we will never truly say good-bye. It is anticipated that the funding for these annual awards would come from the interest on donated funds. If sufficient funding is generated, a scholarship in Woogee’s name is also a possibility. To my knowledge, the proposed awards were never established by Red Earth. A few short years later, Doc passed on. I was told that Doc will once again be honored at Red Earth. I don’t know if this is accurate information, but I thought it appropriate to publish this letter, signed by Doc, which expressed his desire that Red Earth honor his dear brother, Woogie, both formally and annually at the Red Earth festival. Once again, please consider contacting Red Earth to request that the Red Earth Festival officially & permanently establish the “Joyce “Doc” Tate Nevaquaya & George “Woogie” Watchetaker Annual Red Earth Awards” for our youth, in art and dance, in honor of these great men. Other Interesting Facts About Joyce “Doc” Tate Nevaquaya: His first name, Doc, was given to him by a doctor named Joyce who was a family friend. Nevaquaya means “tired of being pretty” or “tired of being well groomed.” Tate was the name of a white man from Fletcher who was a friend of his grandfather. His grandfather and Fletcher raised cattle together, and in the late 1880’s when the Bureau of Indian Affairs required members of the tribes to give an account of themselves, they needed an English name Tate offered his name to his childhood friend and he accepted that offer. 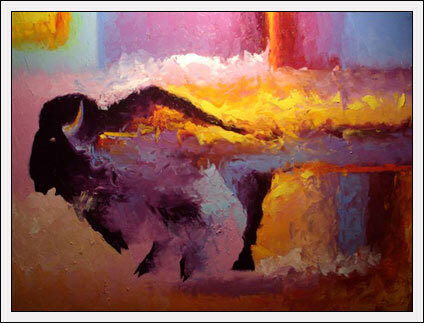 Nevaquaya has received many honors & awards through the years & his work both here in the U.S. and abroad. The Metropolitan Museum of Art, The Kennedy Center & National Endowment of the Arts recognized & honored him. But he is famous not only as an artist, but as a lecturer, teacher, composer & musician, as well as a flute maker. In 1986 he received the Presidential Award from President Ronald Reagan. 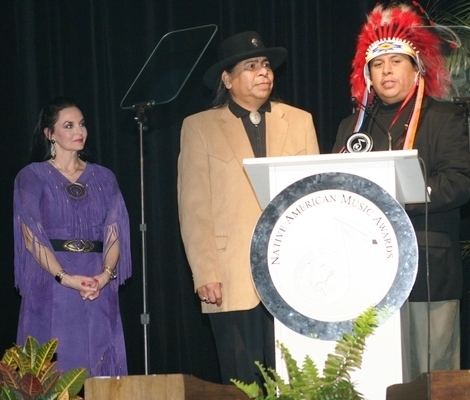 Doc Tate also received the Governor’s award for the Diamond Jubilee Coin, ordered in 1982 to go down in the Guinness Book of Records as the first Peyote coin to depict the American Indian church. 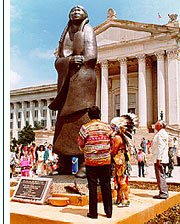 For those of you not familiar with the RED EARTH FESTIVAL held in OKLAHOMA CITY, OK: The Red Earth Festival is named in honor of the Oklahoma Indians. In the Choctaw language “red people” means those who share the color of the clay soil.This annual gathering, held in Oklahoma City Fair Park towards the end of May, is the largest in the world, drawing together more than 100 northern and southern Native American tribes for dance competitions and an arts festival. The festivities begin with an electrifying parade through the Fair Park fairgrounds, featuring dancers, drummers and tribal princesses in buckskins, beads and feathers. Visiting families should make sure to see the tot, junior and teen dance performances, and admire the entries in the youth art competition. Other family activities include dramatized storytelling, hands-on crafts, face painting and Native American children’s games. It was also during the 1950s that Doc first became interested in Indian flutes. 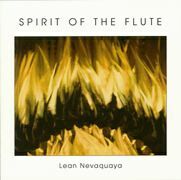 In the 1960s he began researching the Indian flute in earnest. Because none of the Indian music is written, much of it is lost. 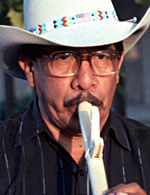 Doc researched the flute construction and playing techniques at the Library of Congress and Smithsonian Institution collections and had copies of recordings made in the late 1800s by elders of various tribes. He often listened to them while he painted and based his music on the recordings. 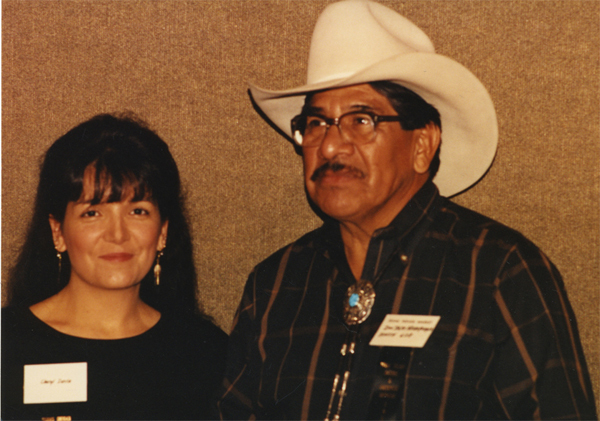 Doc Tate Nevaquaya brought national honor to the state of Oklahoma in 1986, becoming the first Oklahoman to win the National Heritage Fellowship Award. 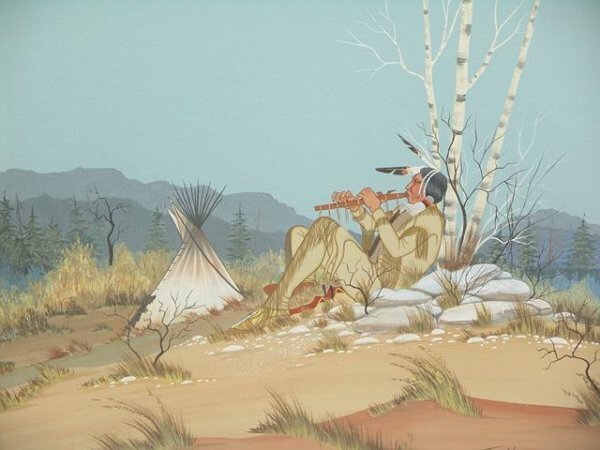 Given by the National Endowment for the Arts, the award honored Doc as a “flutist and master of traditional arts.” He was equally well-known for his paintings. 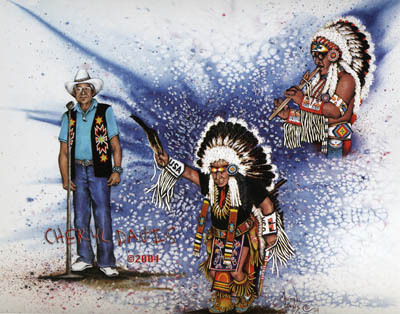 1990— Doc was named “A Living Legend” along with six other Indian Artists; performed at Carnegie Hall, New York City, N.Y.
1989 — Doc opened the archery competition of the U.S. Olympic Festival in Norman, with a flute song. 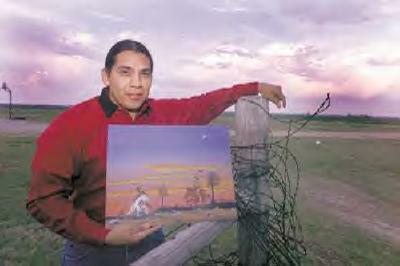 1986 — The Comanche Tribe of 3klahoma proclaimed the second Friday in October as “Doc Tate Nevaquaya” Day; received the National Endowment Heritage Award for his contribution to the Native American Art forms; received special recognition from Oklahoma State Art Council; Gov. George Nigh; Senator David Boren and a letter from President Ronald Reagan; Master’s Artist Award, Five Civilized Tribes of Oklahoma; Grand Award Winner, Trail of Tears All Indian Art Competition in Tahlequah. Doc Tate Nevaquaya, a Comanche artist and flutist who was named an Oklahoma Treasure last fall, died on Tuesday in Comanche County Memorial Hospital in Lawton. He was 63. The cause was a heart attack, said Mary Pewo, a family friend. 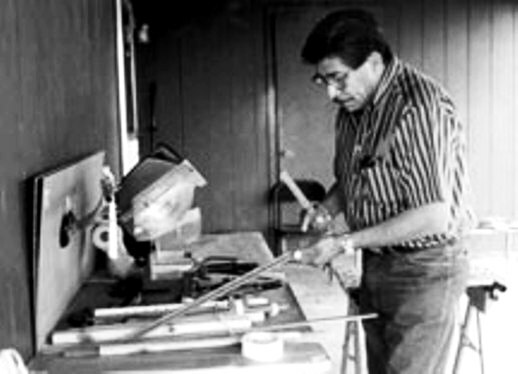 Mr. Nevaquaya was only the second person designated an Oklahoma Treasure, an award that recognized his preservation and sharing of the Comanche Nation’s culture. 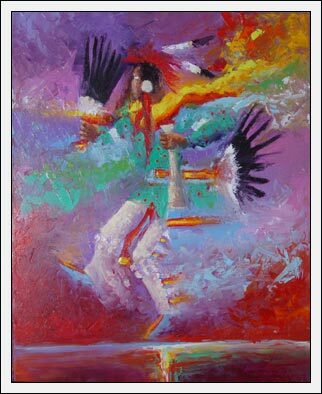 In his art, he preferred to paint traditional dancers in the traditional style, depicting one-dimensional, highly detailed figures. 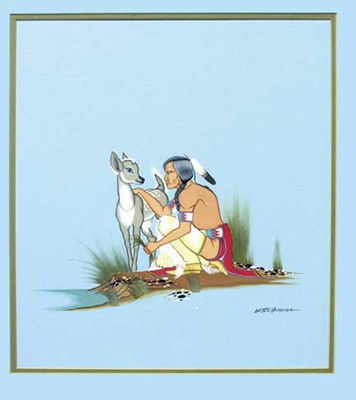 He and his wife, Charlotte, began working with local missions in the 1960’s and encouraged Indians to improve their craftsmanship and learn the meaning of their designs. In addition to his wife, he is survived by five sons and four daughters.